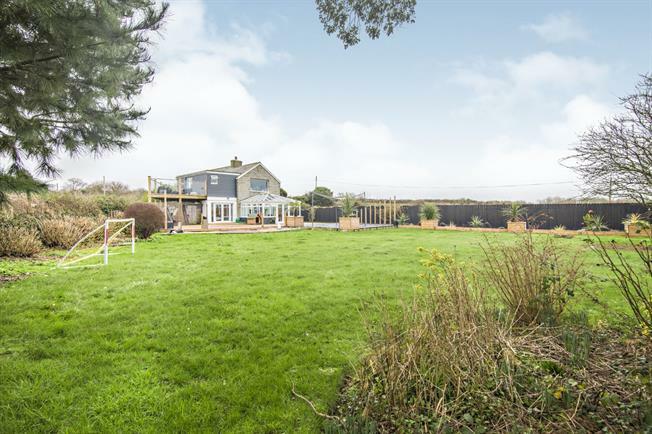 5 Bedroom Detached House For Sale in Newquay for Fixed Price £575,000. Set within about 0.44 acres of landscaped grounds this modernised stylish five double bedroom cottage with master bedroom suite has a sumptuous kitchen, lounge, dining room, conservatory, utility room, family bath/shower room and two en suite shower/cloakrooms. 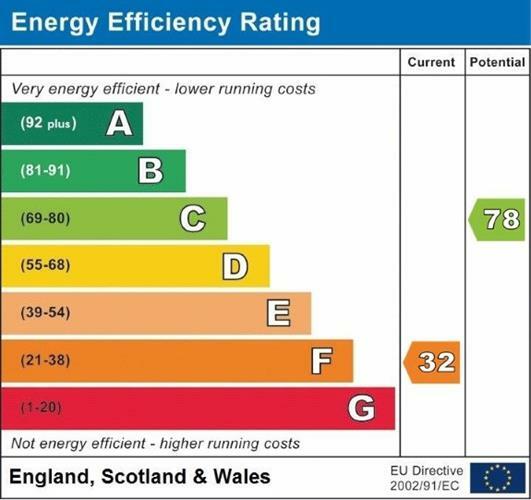 UPVC double glazing and central heating. Viewing is strongly recommended. Entrance door. UPVC double glazed window to front. Open plan onto kitchen/breakfast room and lounge. Radiator. Stairs rising to first floor landing. Feature fireplace. Pair of uPVC double glazed windows to front. UPVC double glazed French doors into conservatory. Radiator. UPVC double glazed windows to three sides and French doors overlooking and gaining access to rear garden. Incorporating island breakfast bar, with five ring LP gas hob and extractor over, nine wall cupboards, nine base units and six drawers, inset single sink and drainer with mixer tap over. Pair of electric ovens. Integrated dishwasher, refrigerator and freezer. UPVC double glazed windows to front and rear. Door into utility room. Doors to side and into bedroom two. UPVC double glazed window to rear. Work surface with inset single sink and drainer. Space for washing machine. UPVC double glazed French doors with picture windows to sides. Door into en suite shower/cloakroom. Hardwood flooring. Incorporating over sized shower low level flush WC and wash hand basin. Tiled walls and floor. UPVC double glazed window to rear. UPVC double glazed window to rear. Doors into four bedrooms, bath/shower room and built in cupboard. UPVC double glazed windows to front and side overlooking garden, built in wardrobes, open plan onto dressing room and door into en suite wet room/cloakroom. UPVC double glazed French doors onto roof terrace. Incorporating glazed shower screen, low level flush WC and wash hand basin. UPVC double glazed window. Tiled floor and walls. Enclosed by glazed screening, with panoramic rural views. Incorporating glazed shower screen with rainfall style shower over, panelled bath, and pair of wash hand basins. Tiled walls and floor. UPVC double glazed window to rear. There is ample parking for several vehicles. There is a level garden to the West side of the property which is mainly laid to lawn with areas of timber decking, and slate paved patio.